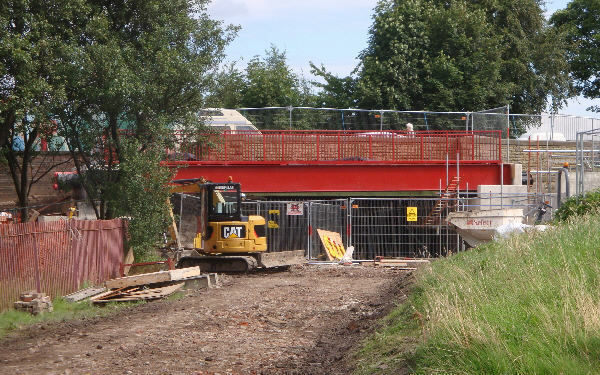 A new footbridge has been constructed over the line of the canal! 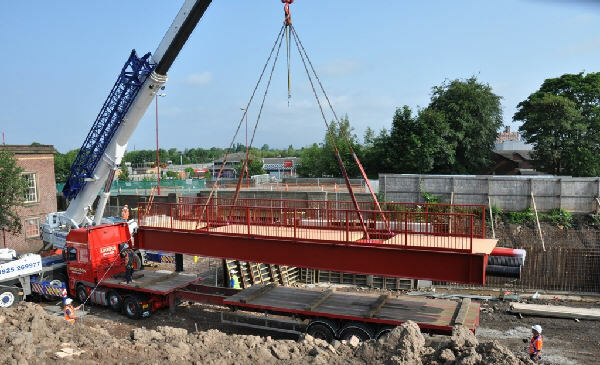 The footbridge is alongside Manchester Road, Droylsden, only a few yards from the Droylsden Wharf basin at the end of the short section of canal re-opened in 2008. 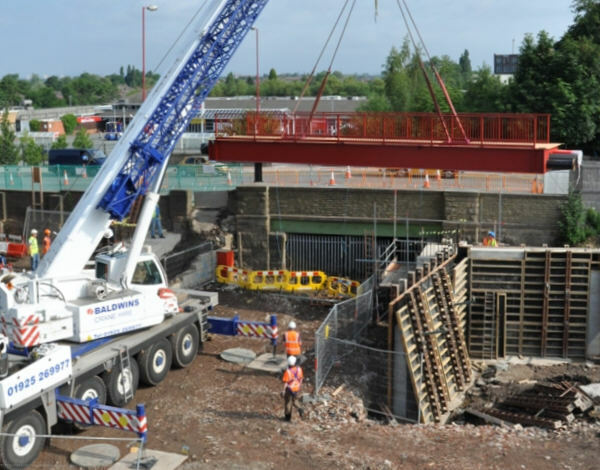 The new bridge is parallel with the road bridge across the infilled line of the canal, and is part of the preparation for the construction of the Metrolink tram line for Greater Manchester Passenger Transport Executive. 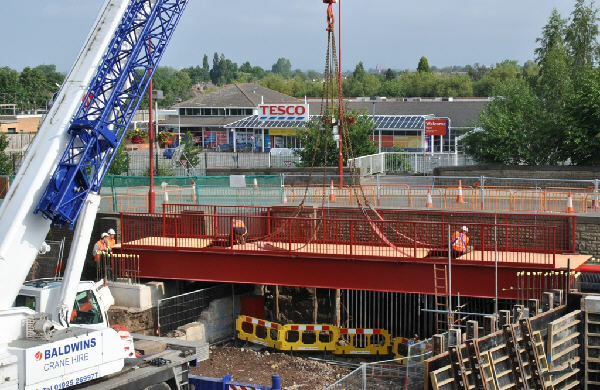 It was known that the road over the existing Manchester Road Bridge needed to be widened in order to accommodate the tram tracks. 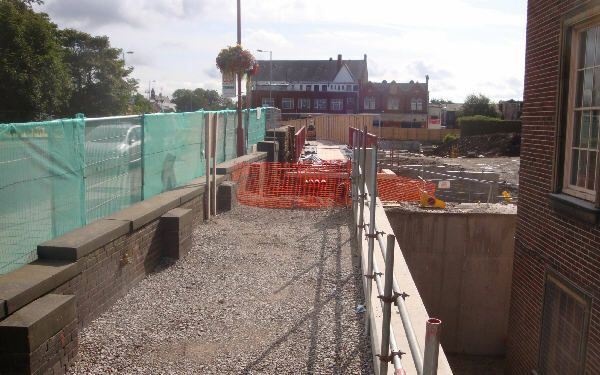 This had been a cause of concern for the Hollinwood Canal Society as there was the risk that the canal line might be obstructed. 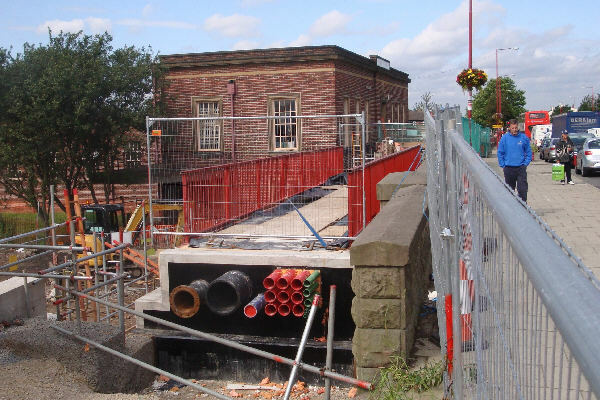 The Hollinwood Canal Society is delighted with this solution and commend the far-sightedness of GMPTE and of Tameside Council for ensuring that the Metrolink works have not created an additional obstacle to the restoration of the canal.